In 1894, Cascade Park became a public park in the City of Elyria. The park has since grown to 135 acres and follows the winding Black River for almost two miles past waterfalls, stone cliffs, and park lawns. The Lorain County Metro Parks took over operations of the park in 2014. 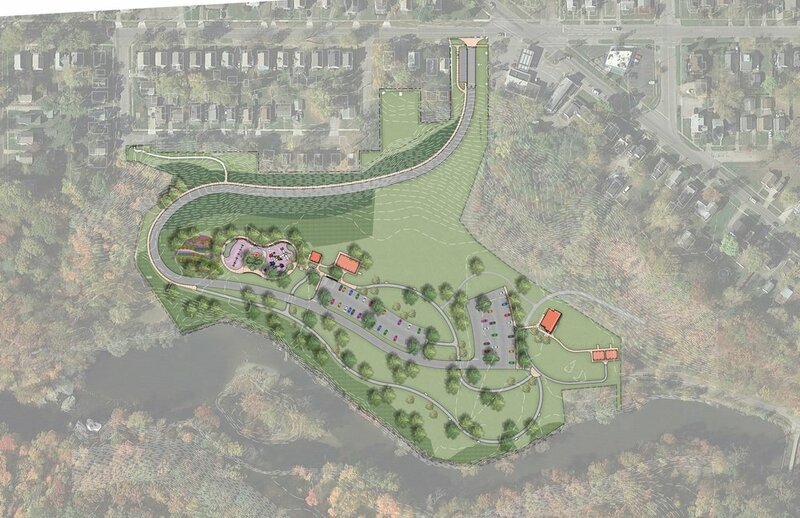 The Metro Parks engaged Behnke Landscape Architecture to develop a master plan and phased implementation of the plan for the entire park. The first phase of development concentrated on day-use improvements at the north end of the park. Currently, similar improvements are occurring in a second phase at the south end. The third phase will involve construction of a bikeway through the park and subsequent improvements will include a new visitors center.